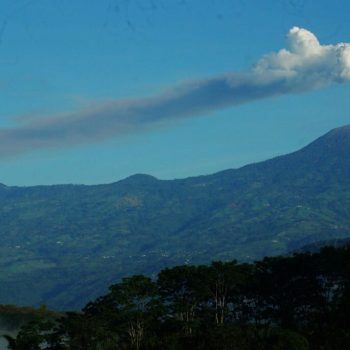 Turrialba, the fifth canton of the province of Cartago, is located between the conservation area of ​​the Central Volcanic Range and the Amistad International Park. 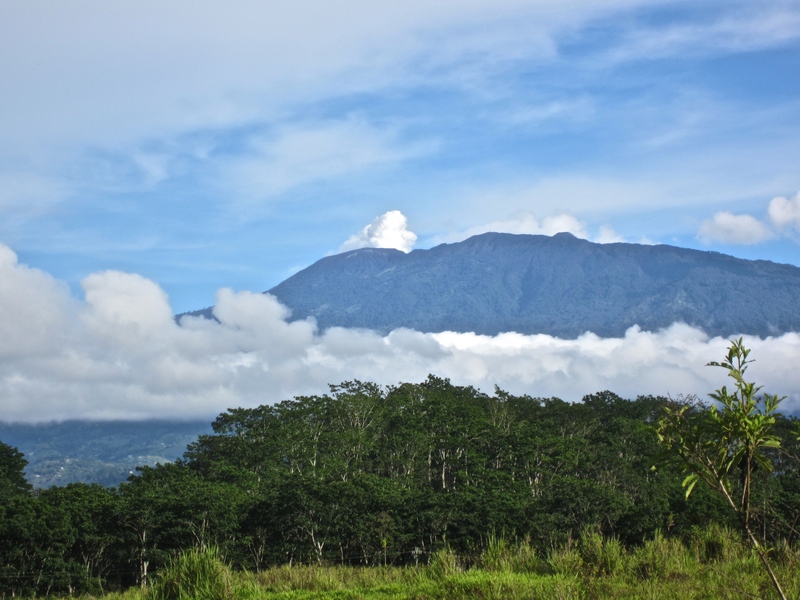 Its present population counts approximately 70,000 inhabitants, and the city of Turrialba, head of the canton, located 24 km away from the volcano of the same name, has approximately 35,000 inhabitants. 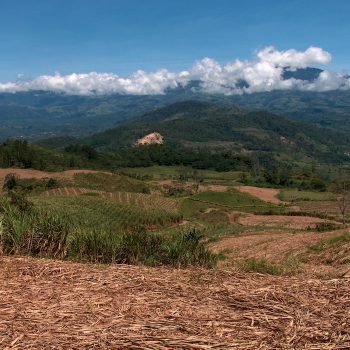 Vast mature tropical forests, extensive valleys and fertile uneven areas are marked by local agricultural activities such as coffee, sugar cane, pejibaye or fruit trees. 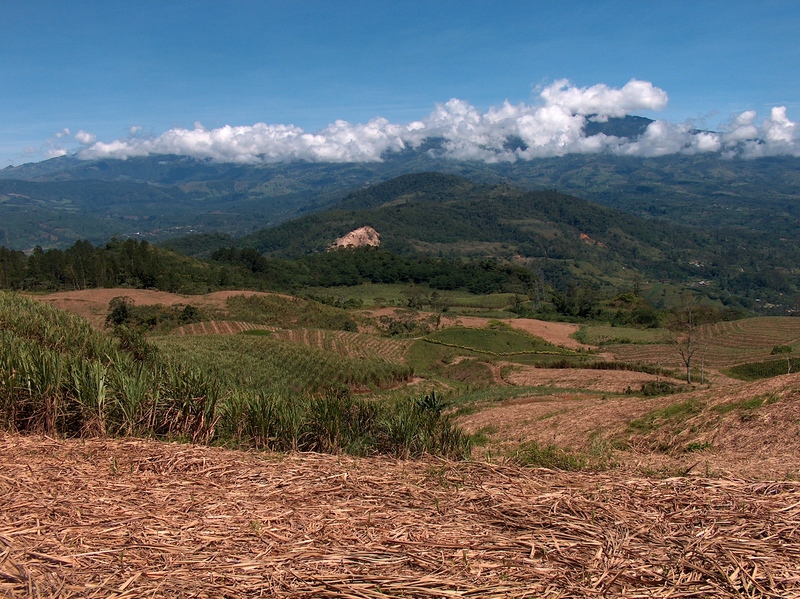 This landscape is subject to be modified by the growing threats of local family farming (mainly price and marketing problems). 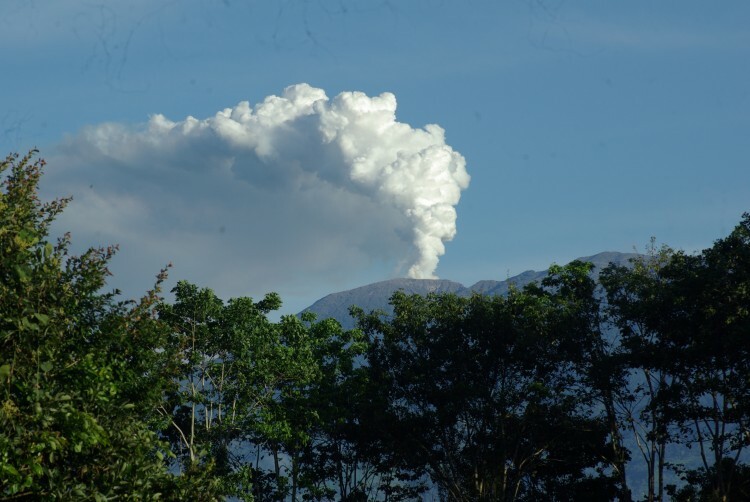 The region has the same name as its volcano; “Torre Alba” is how the Spaniards called the Turrialba Volcano (3,339 meters above sea level) because of the very high columns of water vapor that it launched. 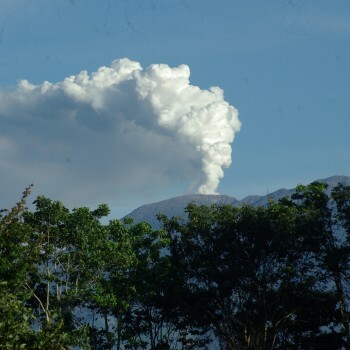 Actually, a few years ago it started to launch water vapor again, like white towers or Albas at the top of his mountain. 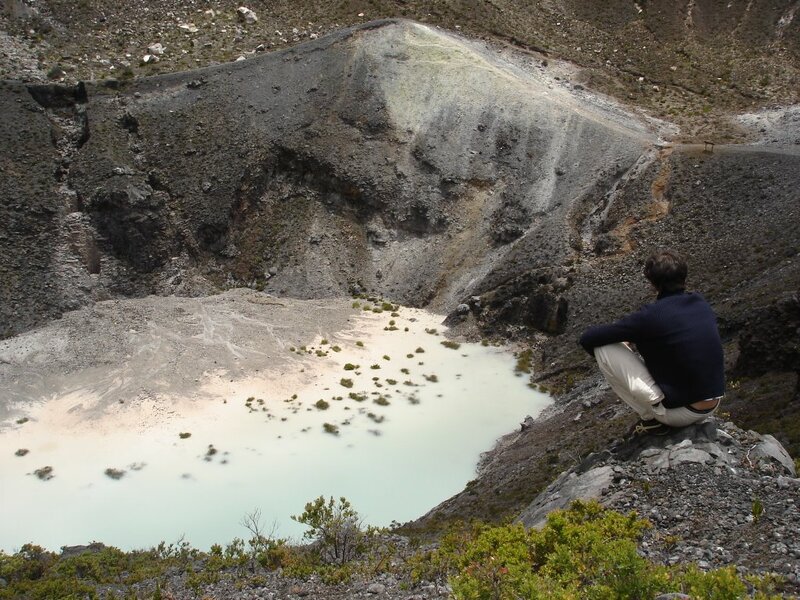 The volcano has a protected area, where 1,256 hectares were declared as national park since 1955. 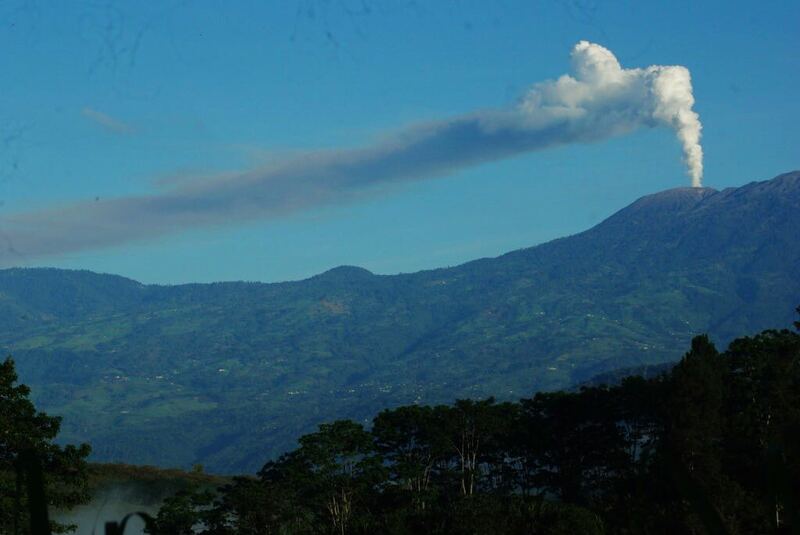 Turrialba has other tourist attractions such as the Guayabo National Monument, one of the archaeological sites that represents the highest level of socio-cultural development of the pre-Hispanic societies of the country. The site (233 hectares) was declared national archaeological heritage since 1973, and later on, world’s archaeological heritage. 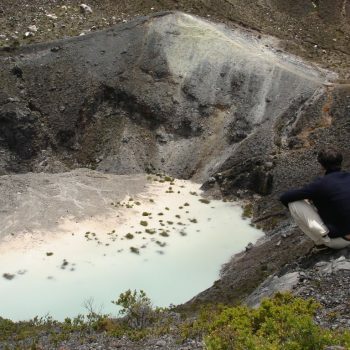 Turrialba is also known for its famous rivers: the Reventazon River, one of the most important rivers in Costa Rica, with 152 km of longitude and a potential hydroelectric facility already in use. Another quite important river is the Pacuare river, still very wild, internationally recognized as a river rafting site and other water sports. 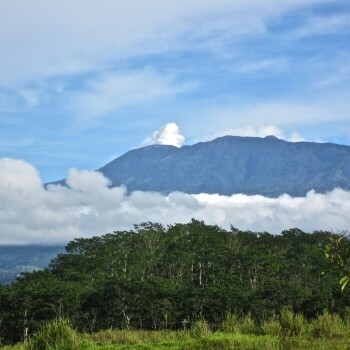 There are other rivers of great beauty in the canton of Turrialba like the Pejibaye river. It is quite mandatory to encounter this important tributary of the Reventazón river, worth visiting for bathing, as well as for discovering close to its banks: huge crack opens between mountains, forests of gigantic trees, other small rivers, farms and small villages.